Who wants to keep and store all of the wires, adapters and accessories typically used to listen to music? If you own several types of devices, you might need a drawer full of wires just to listen to your favorite tunes. 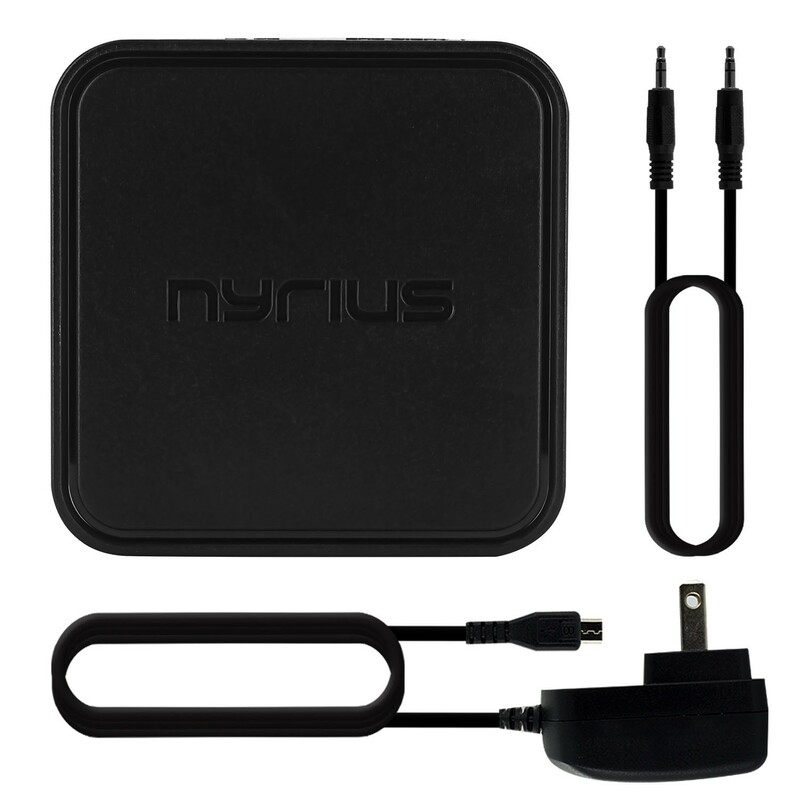 Nyrius Songo Bluetooth Music Receiver eliminates wires allowing you to stream music from your smartphone or tablet to your speaker system. 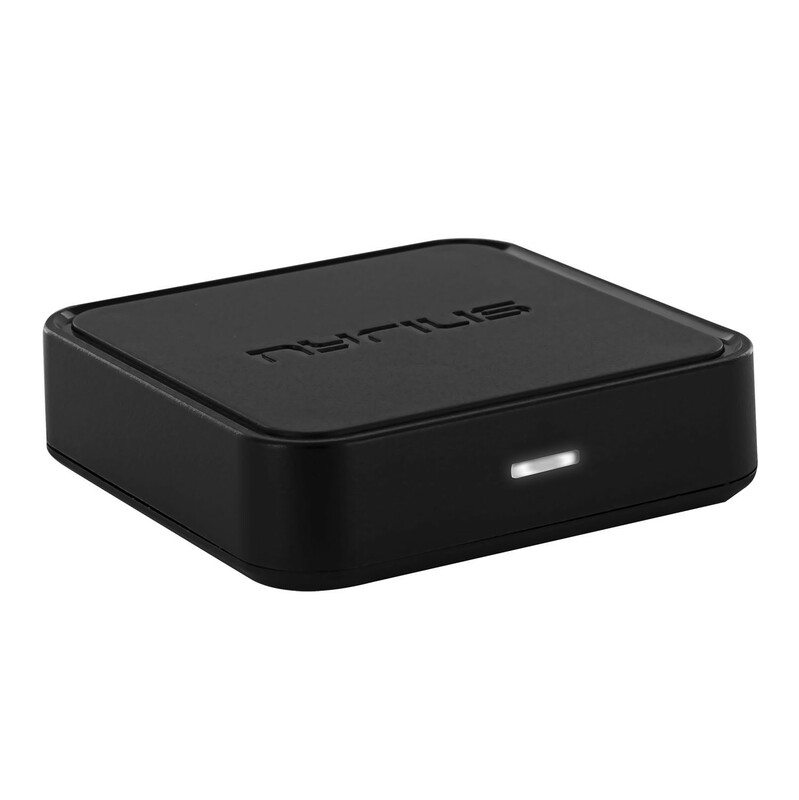 Control your playlist wirelessly while your relaxing on the couch or let your friends take turns sharing their music from their smartphones at your next party. 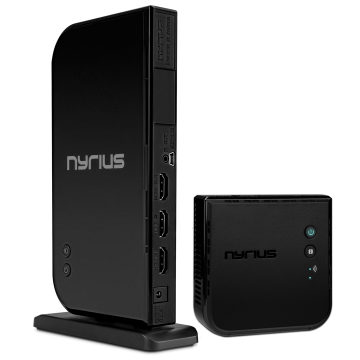 Advanced wireless technology delivers high quality, crystal clear audio up to 33 feet. 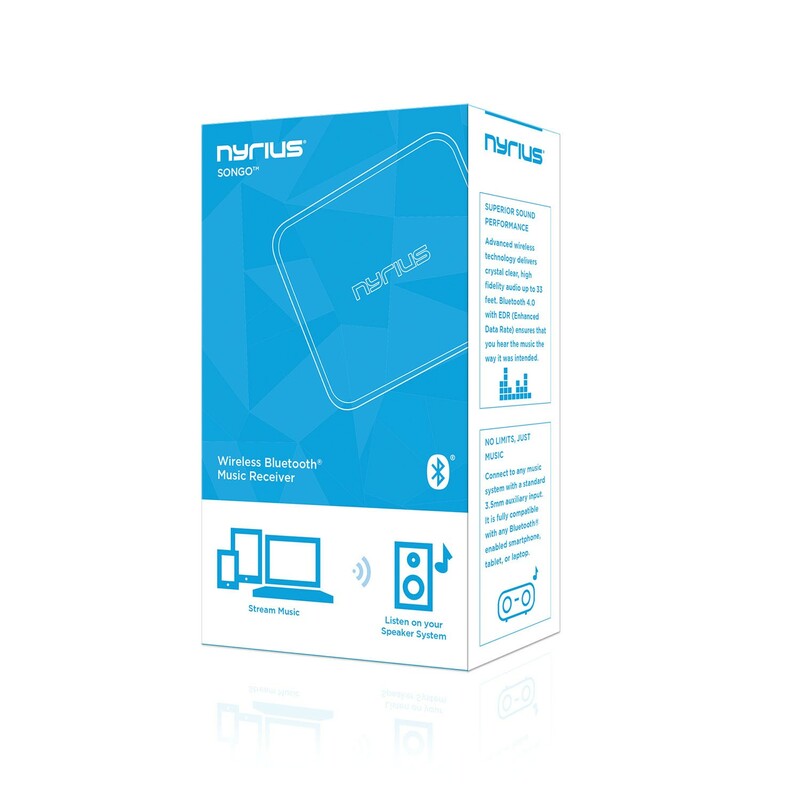 Bluetooth 4.0 with EDR (Enhanced Data Rate) ensures that you hear the music the way that your favorite artist intended. Don’t be limited by your smartphones tiny built-in speakers. Songo is designed to deliver the fullest frequency range of your favorite tunes without any interference, unlike other Bluetooth devices that over-compress audio and can lose connection. Whatever devices you own or music you listen to, compatibility is a key concern. 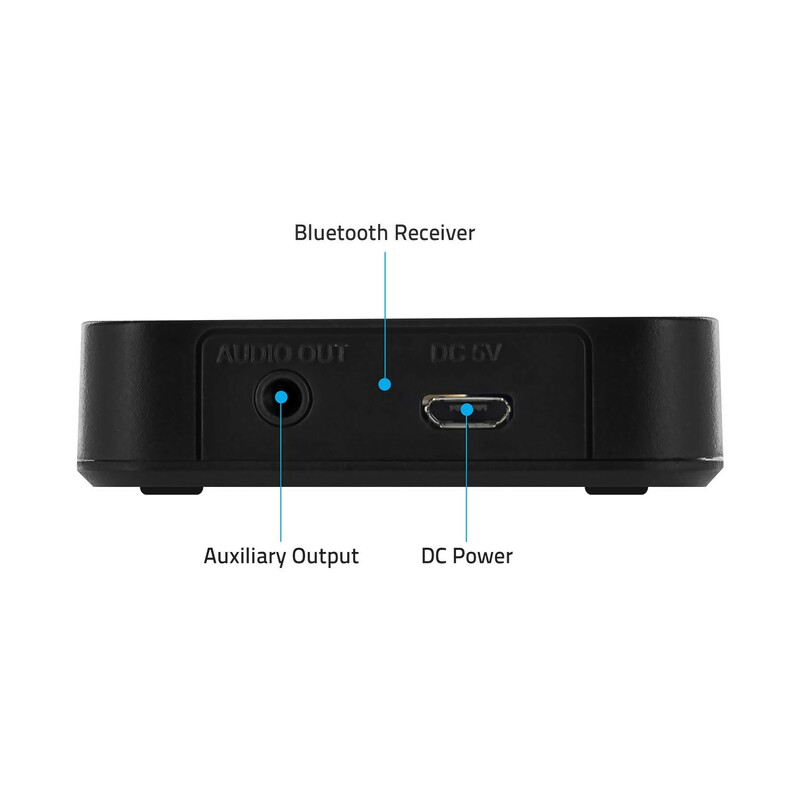 Songo connects to any audio/video receivers, speaker docks or stereo systems with a standard 3.5mm auxiliary input. 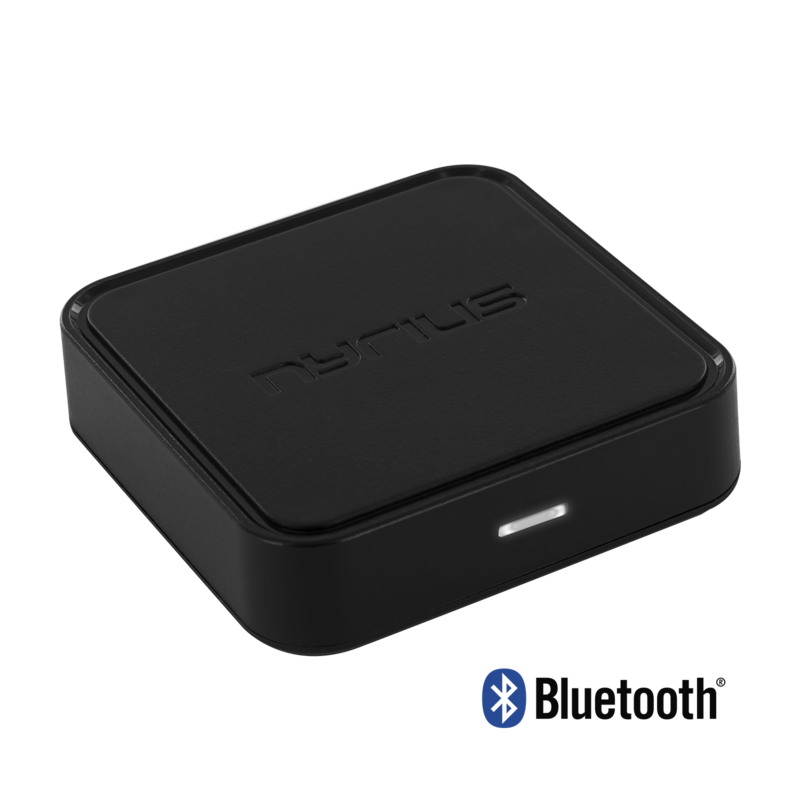 It pairs with smartphones, tablets, laptops - including iPhone, iPad, iPod, Samsung, Android, HTC, Windows, Blackberry, PC, Laptops or any of the other 900 million Bluetooth audio devices. Freely listen to music through your speaker system without wiring or docking your smartphone. With Songo, setup is extremely simple – plug the receiver into your music system, wirelessly pair your audio device, and you’re set. No software or app required. When you’re listening to music with family and friends at your next gathering, Songo makes it easy for everyone to share their favorite playlist. Store up to eight paired devices and experience the power of music bringing people together. 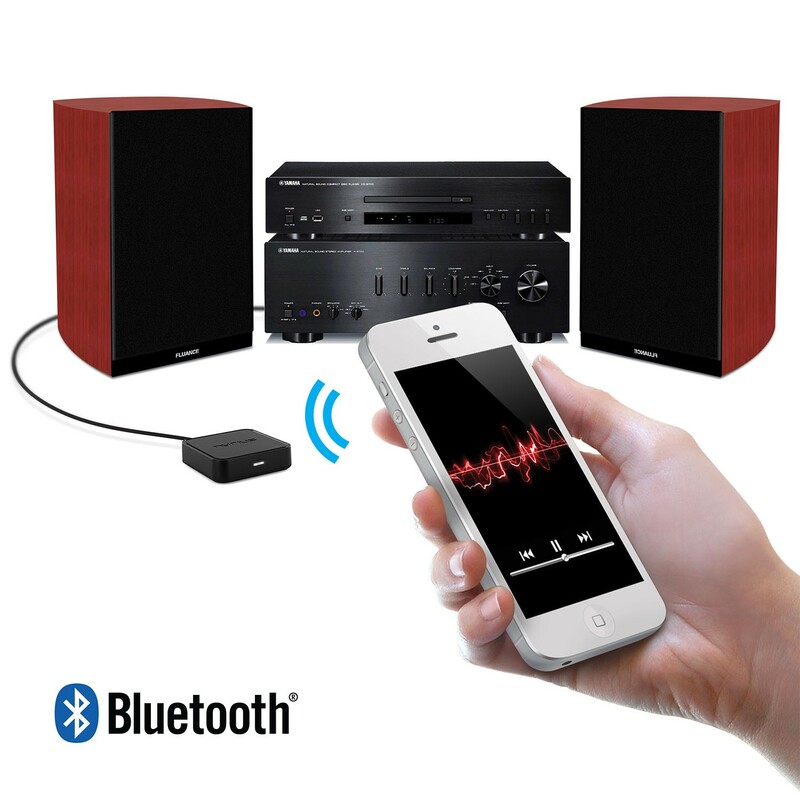 Entertain guests at your next party by streaming music wirelessly over your speaker dock system. Enjoy the freedom of listening to your MP3 music through your speaker dock while still keeping your smartphone in your hand. I bought one of these little things to bring an ancient Magnavox console stereo into the modern age, and it works beautifully. 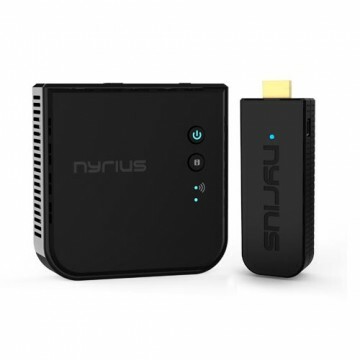 Pairing it with my laptop or my smart phone is quick and painless, and the sound quality is excellent - far better, in fact, than hooking the headphone jack of my device directly to the console''s AUX-IN connection. Not only is the audio signal stronger than the 'wired' connection, it's cleaner, too. Even computer speakers sound better with this unit; I tested it with an old set of Altec-Lansing speakers. The sound quality is remarkable - doubly impressive when you consider the Songo costs less than $20. I will be buying more and recommending this product to my friends. The only quibble I have with it (and it's just a little one) is it is only supplied with a 3.5mm M/M audio connector. A Y-adapter for RCA jacks would be a welcome addition, but the lack thereof does not make me think less highly of the product. quality as before so I'd hate to get rid of it. This little device now allows wireless Bluetooth streaming and control of my music from the couch or the next room. Handy when you're in the kitchen or even outdoor bbq'ing. The first time I tried to sync with my phone it did not work but as you can tell by the 5 star rating it worked the 2nd time and now i haven't had a problem since. anywhere in my house and it syncs automatically with no problems. I received this product around a month ago, so I've had a chance to use it a decent bit by now. frequently, and has not experienced any difficulty pairing. All in all, particularly at the price, I HIGHLY recommend this device, am VERY pleased with the purchase, and will absolutely buy another if I ever need one. It works just as expected. Range is not the best, but it is only bluetooth. It works if I am in any adjacent rooms. I like the unit, it's super easy to use and has great sound. I like the unit, it's super easy to use and has great sound. Very happy with the purchase. I would recommend to others. I am in love with this product and I would gladly reccomend this to all my friends. the best yet. Works really well. Sound clarity is the best. No loss of bass. Use it in my car for streaming. Plug into aux and simply cut the power cord and used USB end for power. Connects when I start my car and pairs immediately. Couldn't ask for anything better! This is a good BT adapter, with excellent audio quality. 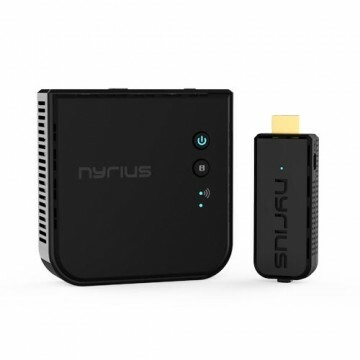 connects with your smartphones instantly and can stream audio. I am using this for my Denon x3000. experience). I decided to roll the dice on the Nyrius Songo, despite having no prior knowledge of this company or product, due to its price and optical audio port. further and the connection degraded rapidly. points for it, especially considering this is strictly advertised as a music receiver. Bottom line: $35 for this product is a steal. I doubt there are better alternatives with or without an optical audio port. every time without hassle. The setup is simple, the audio quality is fine and it just works. I have used this daily for about a month. I didn't check out the maximum connection range as I use it less than 5 feet from my iPad. and fast. No pin numbers to enter, it just connects. The entire family enjoys it with ease, can't ask for much more than that.